Which is the first thing to do when starting a new project? A website is an integral part of each business’ digital presence. And not only that. Websites are destinations where we travel fast every day while surfing the web. Nowadays having a website is easily achievable and the internet offers a number of possibilities as there is always space for one more. Everyone can create their own blog, tell a story about their hobby, activity, sell online or show the world what they do best. Where to start? Do you want a website? Start with the name! The domain - your website's name which users type in the browser to reach the website itself. That’s why the domain is the very first step you should take in order to have a website. What budget you are likely to invest. And of course, check whether the name with the extension you chose is not already registered by someone else. Your mailboxes will go together with the domain you chose so do not underestimate it. For example if your domain is mysupersite.com, you can set up an email address yourname@mysupersite.com. Thanks to it users will easily get in touch with you and your mailbox will be more secure and inspire more trust into all customers sending you messages. Topic 1: What is a domain? 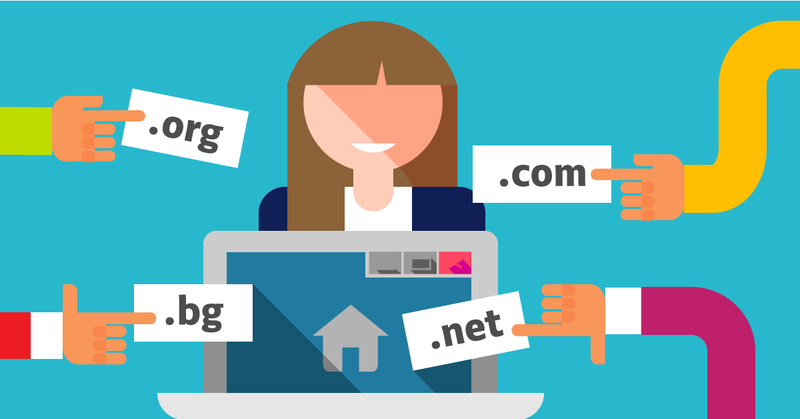 The first step towards choosing the most suitable name for your website is getting to know what a domain is and why you need it to have your own website. Veronika will tell you more in a short video. Topic 2: How to choose the most suitable name for my website? We know that this is a difficult decision. That's why we have prepared a few tips Veronika will share with you to help you choose the most suitable name for your website. Do not underestimate those tips when choosing a domain. You are now sure about the name but still wondering which extension to choose among the 350+ available ones on SuperHosting.BG's website and what's the difference between them? Veselka has all the answers of those questions. Listen to her! Topic 4: How to check if a certain domain is free and register it? You have decided on the name and domain extension. What’s next? Register your domain before someone does it! It is not unusual for our customers to choose a name, put the domain and email on their business cards and advertising materials and then suddenly it occurs the name has been already taken. Always make sure the domain is free before making the final decision. If it is free - take it! 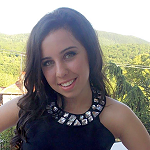 Listen to Dani and find out how to find the desired name and register it before someone else does it. Topic 5: How to register a .bg domain? This is one of the most frequently asked questions at SuperHosting.BG. Forever and ever! The .bg domain is definitely one of the most desired one in the country. Very often registering a domain with this extension scares users since it's a bit more specific when compared to .COM, .EU, .NET. The procedure is not so complicated and you can get the desired .bg name for your website quickly and easily. Veselka knows how to explain this and she is always ready to help you! Listen to her. Topic 6: What is a parked domain/subdomain? Do you know what a parked domain or a subdomain is and that your digital presence can benefit a looot from them? When you have your own domain (and website) sooner or later you are about to face those notions. Listen to Anton to find out what they mean and how they can turn into an advantage for your website. Topic 7: You already have a domain? View how to transfer it to a SuperSpace. The domain is your digital property and your website is a digital mirror of your ideas. Imagine you need to make an insurance for your house. You will choose the most secure insurance company for a long term policy so that you can feel safe in case something happens to your home. The same should go for your website. Choose a reliable partner for your domain, an experienced company which will be able to take care of its customers in the long term. We at SuperHosting.BG provide a secure home for your website, which also includes a domain. Learn more about the importance of choosing a reliable hosting partner and how easy it is to transfer your domain to us. Your domain is your digital property. When you buy a house you prepare ownership documents to be with your name, not with the real estate agent's name on them. Similarly, we recommend using your data or your company data upon domain registration. This can spare you a lot of troubles in the future! There is no doubt in this. P.S. Subscribe to our YouTube channel to watch the rest of the help videos in our sequence.